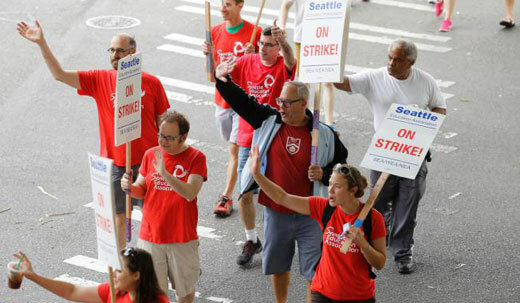 SEATTLE – The 5,000 teachers in Seattle’s public schools suspended their six-day strike Sept. 17 amid strong displays of teacher, student and community solidarity on their picketlines. The Representative Assembly of the Seattle Education Association urged the teachers to vote to ratify the three-year agreement when they meet Sunday Sept. 20. The tentative agreement, while short of their demands, addresses many of the issues raised including increased pay frozen for the past six years and issues of education reform such as curbs on “high stakes testing” and racial equity for students of color. “We want to go back to school. We want the kids in school but we need a fair deal to do that,” said First Grade teacher, Madeline Lawrence in an interview with Channel 5. 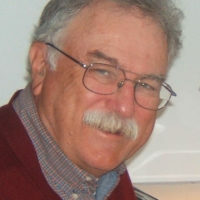 The proposed agreement would provide a 3 percent raise in the first year, 2 percent in the second year, and 4.5 percent in the third year. That would be on top of the 4.8 percent cost-of-living increase approved by the Washington State Legislature. Teachers have endured six years without even a cost-of-living increase and the 4.8 COLA leaves Seattle teachers still far behind increases in the cost-of-living. The proposed deal also guarantees a 30 minute recess for all elementary pupils. It places curbs on “high stakes” testing and ends the policy of basing teacher evaluations on these test scores. It reduces teacher workload by adding staff. The teachers had demanded student “equity teams” in every school to reduce the disparity in suspensions and other discipline that falls disproportionaterly on African American, Latino, Native American Indian and other students of color. The administration agreed to establish these ‘equity teams’ in 30 schools. It lengthens the school day by 20 minutes. The Seattle public school administration attempted to ramrod this demand without any increase in teacher pay—in effect a salary cut. The administration, however, agreed to increase teacher compensation for this longer day. The six days in lost instruction will be made up by canceling built-in snow days. Yet the State Supreme Court has found the legislature “in contempt for its failure to comply with the school funding order” handed down last year by the State Supreme Court. The court ordered the legislature to pay $100,000 daily fines until they comply with their order that the lawmakers abide by the state constitution.